Gerd Leonhard is a futurist and is particularly interested in how we can sensibly deal with new technologies. He is the author of several books on future technology. In 2015, Wired listed him as one of the top 100 most influential people in Europe. Joanna J. Bryson researches cognition. She is interested how it relates to explaining human culture, and natural intelligence more broadly. She designs intelligent systems to model and test scientific theories. IBM Watson lists her as one of the most important AI researchers. Anders Sandberg co-founder of the transhumanism think tank Eudoxa. In his research at the Future of Humanity Institute he investigates societal and ethical issues surrounding new technology, including human enhancements, and means to assess the capabilities of future technologies and their and underlying science. Satinder P. Gill is an experimental psychologist with a particular interest in social interactions, gestures and tacit knowledge. She researches the processes underlying knowledge transfer in human interaction, the role of the body in sense-making, the dynamics of technologically-mediated interaction as well as the function of rhythm in facilitating human communication. Harald Taglinger, born 1965 in Kaufbeuren, Germany, has written about the internet and IT since 1992. He has been working at Microsoft and Citrix for two decades, and he also writes in Telepolis, a leading German online magazine published by Heinz Heise Verlag. 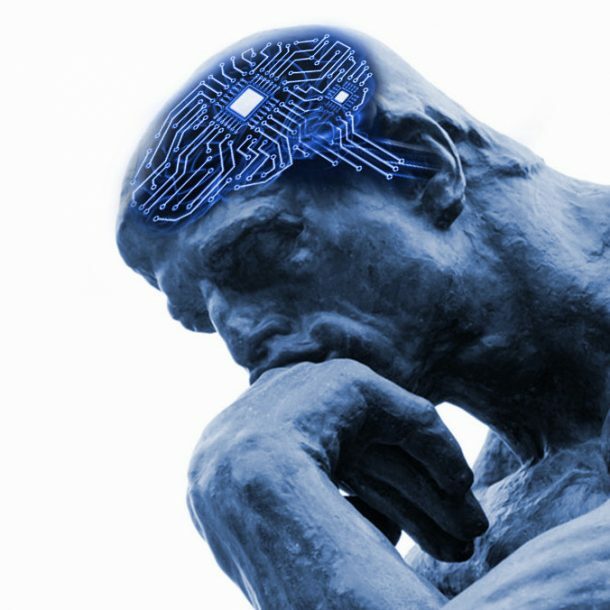 Join us at the Denkfest, organised by the Swiss Freethinkers, on Sunday 5th November, to discuss and debate, among other things, whether CRISPR is the printing press of biology and to ask if we need to rethink intelligence in an era of AI. The four-day Denkfest runs from Thursday 2nd November until Sunday the 5th, 500 years after Martin Luther nailed his “95 Theses” to a church door in Wittenberg. The Zurich Salon’s Denkfest salon will be on Sunday between 11 AM and 12:30 PM. It follows a panel discussion on CRISPR, which begins at 09:15 hrs. After lunch, there will be more sessions, which will debate whether our contemporary conception of humanism needs a radical reformation in the wake of scientific and social breakthroughs. A one-day ticket for Sunday 5th, including our salon, can be purchased here (use the salon code sal-017-dfs for a 15% discount), and it is also possible to buy other single day and an entire Festival pass ticket using the same link. In 1950, Alan Turing proposed a test to assess whether a machine could be seen as being intelligent: a human evaluator would have a conversation via keyboard and screen with two partners unknown to him or her, one is a human being, the other a machine, and both attempt to convince the evaluator that they are thinking human beings. If the evaluator could not tell one from the other, the cognitive capacity of the human and the machine were said to be on par. Now, if we are to believe some prominent forecasters, machines will soon surpass our own ability to think. Is this really the case? And if so, even if it takes longer than predicted, what does this mean for our future? Do we need a reformation of the concept “intelligence” in order to further distinguish ourselves from machines? Are we humans really in danger of being replaced by machines in every aspect of life? And what is intelligence anyway? The book argues that, before it's too late, we must stop and ask the big questions: How do we embrace technology without becoming it? When it happens-gradually, then suddenly-the machine era will create the greatest watershed in human life on Earth. Technology vs. Humanity is one of the last moral maps we'll get as humanity enters the Jurassic Park of Big Tech. Artificial intelligence. Cognitive computing. The Singularity. Digital obesity. Printed food. The Internet of Things. The death of privacy. The end of work-as-we-know-it, and radical longevity: The imminent clash between technology and humanity is already rushing towards us. What moral values are you prepared to stand up for-before being human alters its meaning forever? Action selection is the task of doing the right thing at the right time. It requires the assessment of available alternatives, executing those most appropriate, and resolving conflicts among competing goals and possibilities. Using advanced computational modelling, this book explores cutting-edge research into action selection in nature from a wide range of disciplines, from neuroscience to behavioural ecology, and even political science. It delivers new insights into both detailed and systems-level attributes of natural intelligence and demonstrates advances in methodological practice. Homo Deus is a sweeping, apocalyptic history of the human race, which reads more like a TED-talk on acid than a serious historical or scientific investigation. Like so many dystopian tracts, Homo Deus reflects our misanthropic present, where human achievement and ambition are regarded as the sources of catastrophic change. Hence Harari projects a future that is a failure of the present, an imagined world in which mankind has changed (or failed to change), without Harari finding it necessary to explain why this change would have come about.